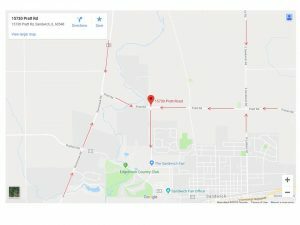 This year the Sandwich Fair officially has a new event address of 15730 Pratt Road. 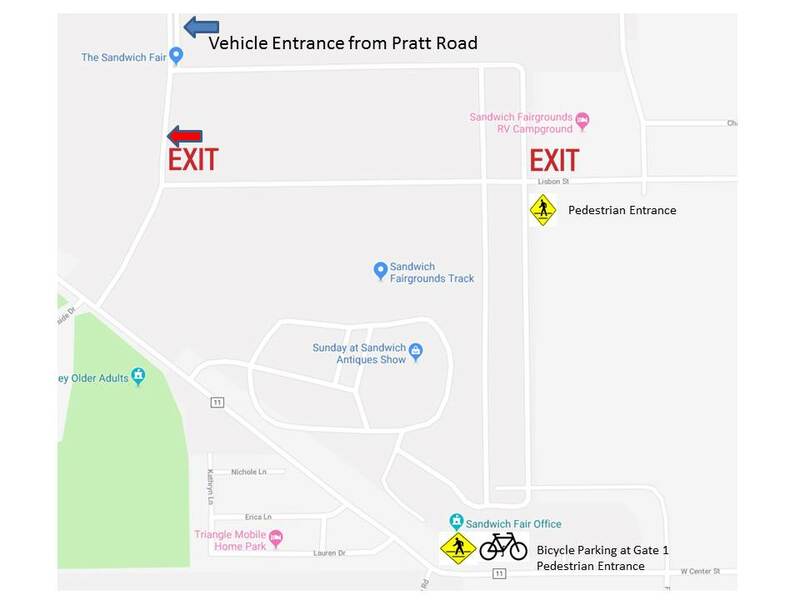 Please use the Pratt Road entrance to enter the fair parking lot to keep traffic moving and reduce congestion in Sandwich and Rte 34, especially on Friday, Saturday, and Sunday of the Fair. Exits will be Lisbon Street to the East, and gate 5 to the West. 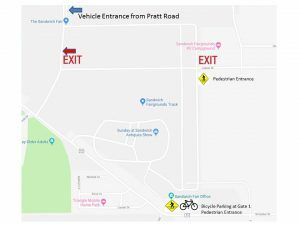 Fairwinds Crossing and Pratt become exits towards the end of each evening. 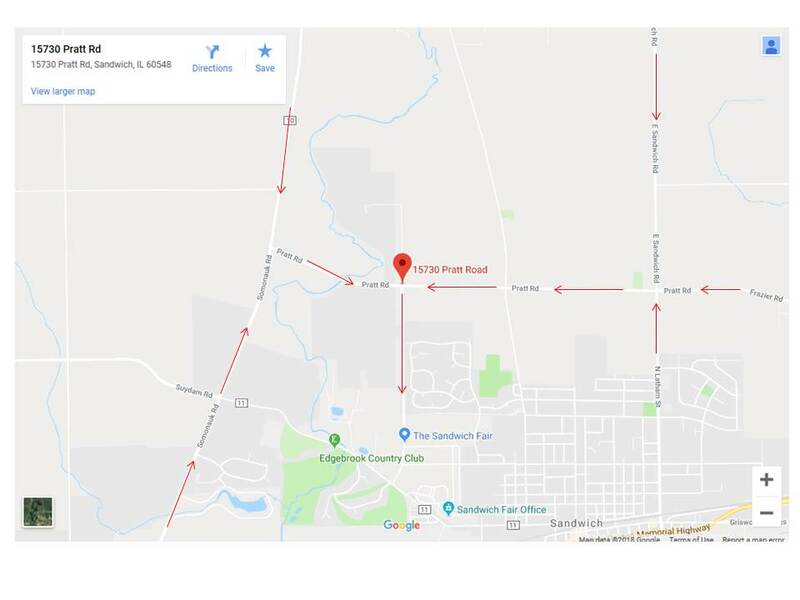 Fairwinds Crossing will continue to be a entrance on the east side of the grounds but it is recommended to be used by Sandwich Residents on the West side of town. Bike Riders and pedestrians can enter at Gate 1 by the Main Ticket Building just to the west of Fairwinds Crossing or Lisbon Street. Bikes can be parked between the Main Ticket Office and the Fair Association Office. Uber, Lyft, Taxis etc. 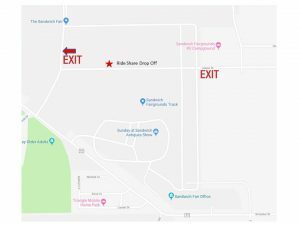 should enter at Pratt Road drop off your customer at the ticket gate North of the track and exit gate 5 or Lisbon Street. Just mention to a parking attendant you are dropping off and leaving. Choose the location (closest to you) from the options below, and send the directions to your phone. If you have a question, click here first to look at the frequently asked question list. For this years vendor locations and names please visit the vendor map and list located on the Sandwich Fair Event Page.